Selling his company for $555 million was a mistake, said Dropcam founder Greg Duffy. In a Medium post published Tuesday, Duffy shared his regrets over selling his security camera startup to Google-owned Nest in June 2014. Duffy wrote that when Dropcam was purchased, it was experiencing record sales, had a 4.5-star rating on Amazon, was rolling out in retail stores, and had new products it was preparing to launch. "And we accomplished all this while remaining a really great place to work," he wrote. That changed once it was bought by Nest, the connected device maker purchased by Google (GOOG) for $3.2 billion earlier that year. Duffy left Dropcam eight months after Nest acquired it. He wrote that of the 100 employees who were acquired with Dropcam, more than 50 have left. They "did so because they felt their ability to build great products being totally crushed," he wrote. This was in stark contrast to CEO Tony Fadell's comments that "a lot of the employees were not as good as we hoped." Last week, The Information published a deep dive into Nest's struggles. In it, Fadell wrote off the exodus, saying Dropcam "wasn't a very experienced team." But Duffy said Fadell is using his team as a "scapegoat." Duffy said that according to LinkedIn data, Nest has lost nearly 500 people over the years. That, he said, "suggests that we were not alone in our frustrations." And he said it wasn't just a case of moving slower because the company was now part of a bigger organization. "This is something different, as evidenced by the continued lack of output from the currently 1,200-person team and its virtually unlimited budget," he wrote. Duffy pointed out that it took a full year for Nest to unveil the fruits of its Dropcam acquisition: the Nest Cam, in June 2015. And with the exception of the Nest Cam, Nest hasn't launched any new products since acquiring Dropcam, according to The Information. It also said sales have not met internal expectations. Duffy called out Nest's executive team for "fetishizing only the most superfluous and negative traits of their mentors." 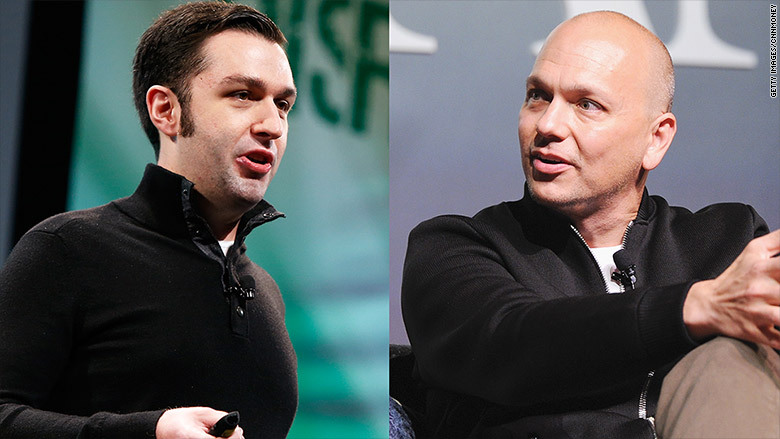 Fadell, who used to work at Apple, is described as perfectionist and a tyrant. The Information compared him to Steve Jobs, who was known as a genius and perfectionist -- but could also be indifferent to others' feelings and opinions. According to Duffy, Dropcam brings in a significant portion of the "other bets" revenue of Alphabet (GOOG) -- Google's parent company. He said he can't publish Dropcam's revenue but pushes Fadell to release full financials, although he said it wouldn't "look good for Nest." A spokesperson for Nest declined to comment. Duffy did not immediately respond to request for additional comment.